♦ Verify the MPPT mechanism of the inverter for the I-V curve when the solar cell is shaded by clouds or trees. ITECH high speed high performance photovoltaic / solar simulation power supply, adopting IT6500C high-speed high-performance high-power DC power supply equipped with SAS1000 solar array simulation software, all series have 54 models with wide voltage and current range, the output up to 1000V, 1200A. A machine can cover a wide range of application requirements, easy to choose the required models for users. Photovoltaic / solar simulation power supply supports edge time independent set for each mode, has double quadrant current seamless switching function, and supports OVP, OCP, OPP, OTP, Vsense reverse and other protection functions. ITECH high speed high performance photovoltaic / solar simulation power supply has graphical software interface, users can easily use the software to output, measure, display the maximum power tracking status of photovoltaic inverter in real time and record value. 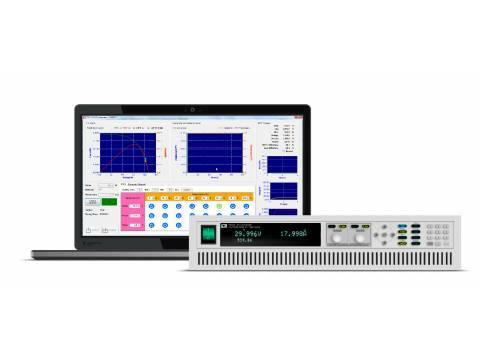 Built-in EN50530 / Sandia and other five kinds of regulatory testing procedures, it is convenient for users to test the static and dynamic MPPT performance of PV inverters and generate reports, so as to compare with competitors' results. Solar simulation power supply also provides the shadow and table mode, the user can enter the 128 ~ 4096 points array to edit any shielded IV curve to achieve dynamic shadow effect and also can store 100 I-V curves under different irradiation and temperature to test the long-term maximum power tracking performance of photovoltaic inverters under different climatic conditions. Since solar cell utilization is not only related to its internal characteristics, but also related to weather, season, temperature, irradiation, cloud cover, rain and snow and other factors, solar cell has different I-V characteristics in different periods. Therefore, PV inverter must have a strategy to adjust real-time working point of the solar cell to make it always work in the vicinity of the maximum power point, this process is called MPPT. 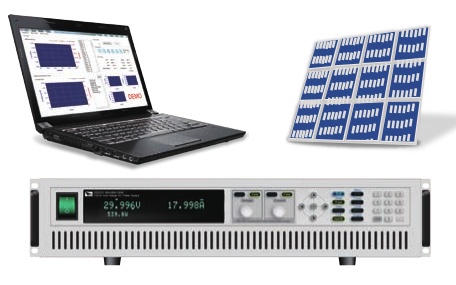 ITECH high speed high performance photovoltaic / solar simulation power supply can be used to directly simulate various real-life solar cell arrays in a laboratory test environment to test the static & dynamic MPPT performance of photovoltaic inverters.